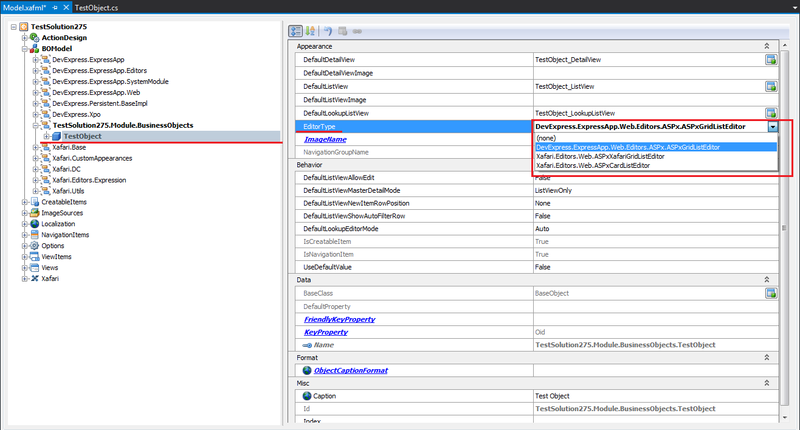 - How to show/hide these actions based on SecurityRoles (SecurityStrategy complex). I noticed that all my gridlistview editors got replaced with the Xafari equivalents. Is there a way to disable this? We are preparing the information for you and we will respond as soon as we are ready. 1. ASPxXafariGridListEditor functionality is similar to the standart XAF ASPxGridListEditor with additional template support. Documentation for ASPxXafariGridListEditor in English have not developed yet. We will inform you when this documentation is done. 2. Action can be localized in the Model. Please, watch the video ActionLocalization. Please, watch the video HideAction. 5. Indeed, some XAF editors are replaced with Xafari editors. This replacement can be changed in the model. Please, see attached files ChangeEditors.png and ChangeEditorViews.png. This action must be performed for each object or view. If you want to set your editor by default, you can programmatically register your custom editor with the last parameter true. 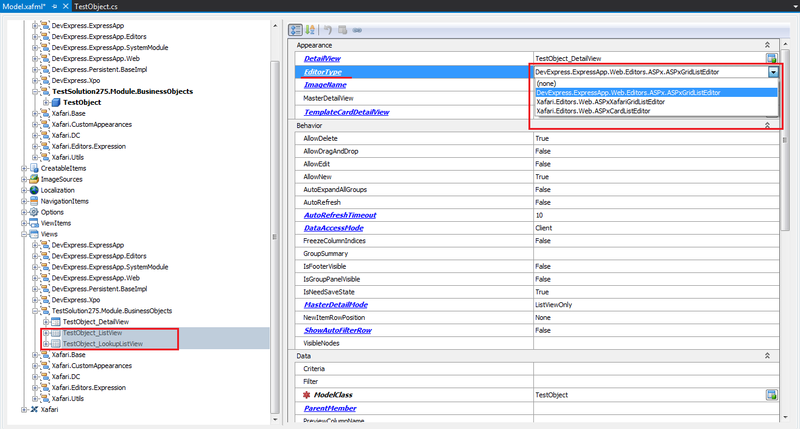 Or you can register the editor by using attribute PropertyEditor and set last parameter true.